CHI Memorial Medical Group welcomes John L. Gwin, Jr, M.D., Daniel L. Heithold, M.D., and J. Andrew Lovette, M.D. to CHI Memorial Surgical Associates. Dr. Gwin received his medical degree from Yale University School of Medicine in New Haven, CT. He completed his internship and residency in general surgery at University of Alabama Medical Center in Birmingham. He completed a fellowship in surgical oncology at Fox Chase Cancer Center in Philadelphia, PA. Dr.
Dr. Heithold received his medical degree from Medical College of Georgia in Augusta. He completed his internship and residency in general surgery at Georgia Baptist Medical Center in Atlanta. He is board certified in general surgery by the American Board of Surgery, and trained to perform robotic-assisted surgery. Dr. Heithold is a native of North Georgia, where he currently lives with his family. He enjoys fishing, camping, and raising horses. Dr. Lovette received his medical degree from Bowman Gray School of Medicine at Wake Forest University in Winston-Salem, NC. 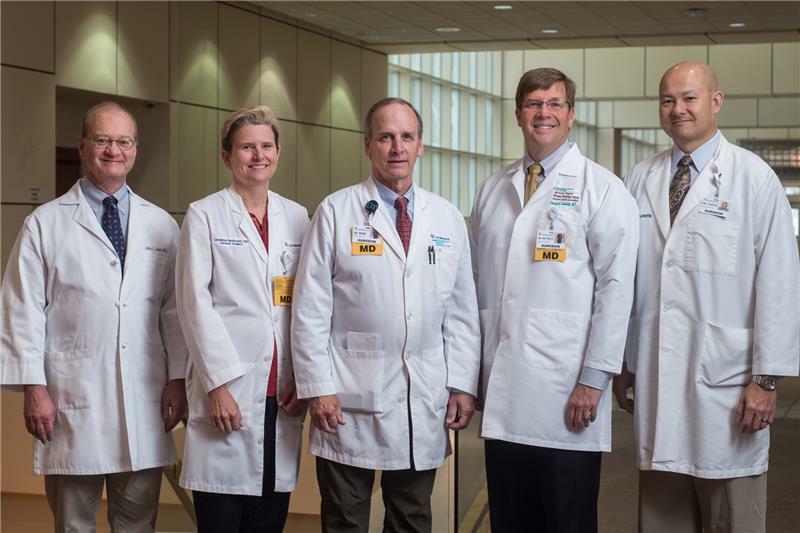 He completed his residency in general surgery at Roanoke Memorial Hospital in Roanoke, VA. He is board certified in general surgery by the American Board of Surgery, and trained to perform robotic-assisted surgery. Dr. Lovette began his career in Mississippi before moving to the Chattanooga area in 2007. Dr. Lovette enjoys traveling, music, hunting, fishing, and riding motorcycles. Dr. Gwin and Dr. Heithold join Walter B. Rose, M.D., at CHI Memorial Surgical Associates – Chattanooga. Dr. Gwin will continue to see patients at 721 Glenwood Drive, Suite W553, Chattanooga. Drs. Heithold and Rose will see patients at 721 Glenwood Drive, Suite W550, Chattanooga. For more information, call 423 698-8692. Dr. Lovette joins Christina Parkhurst, M.D., FACS, at CHI Memorial Surgical Associates – Hixson. The practice is at 2051 Hamill Road, Suite 104, Hixson, Tn. 37343. To schedule an appointment, or for more information, call 423 498-3010.